Castor oil, scientifically known as Ricinus communis, has been used since ages to enhance the beauty. It has that power that can heal dry, damaged hair and transform them into lustrous and luxuriant. Have you noticed how this oil has been used for even the eyebrows? Yes, it is. A lot of men and women are facing hair loss, which I am sure is very stressful. After all, hair plays a major role in one’s beauty and personality. So, here in this article, I am sharing how you can use castor oil for hair growth and getting thick hair at home. Castor oil is rich in multiple nutrients which makes it powerful oil. It has omega 3 fatty acids along with omega 6 fatty acids. It also contains vitamin E in load of amount plus the minerals and ricinoleic acid. Is castor oil really effective for hair re-growth? Yes, overall, it can be a nutritious oil for your hair. It is a mildly yellowish colored oil which is thick but is not as sticky. With over 2 dozens of fatty acids, the oil is source of extra hydration of the dry hair. Without any more delay, let’s dive deep into the process of learning how castor oil promotes hair growth naturally. Let’s get to know how to utilize castor oil for hair growth and curbing hair loss. Is Castor Oil Good For Hair Growth? The answer is simple, yes! The oil has given so many proofs over the decades and people all over the globe swears by this. It can triple up the growth rate by stimulating the hair follicles. Hair growth is decreased or affected by the lipid compound, called Prostaglandin (PGE2). These PGD2 hormones that are directly related to the hair loss in males and females. Ricinoleic acid, found excessively in castor oil black this hormone and thereby, gives relief in the hair loss. It also increases the scalp’s blood circulation which further aids in promoting the hair growth. Moreover, the fatty acids in this oil can boost the hydration of the rough dry hair. What can castor oil do for hair? It boosts the hair growth by blocking the PGD2 hormones. It also cures these splits ends with regular application. Dandruff flakes and hair loss due to that is also cured by castor oil. Which Type of Castor Oil is Good for hair? A single seed of castor oil has around 50-60 % of castor oil, which is just amazing. Castor oil is avialable in variety of types. Like the most popular Jamaican Black castor oil. But there are other versions as well. It type of oil is based on the method o extraction. There is mechanical method that involves the pressing while the solvent methods includes the hexane, heptanes and other petroleum products that aid in the oil extraction. This is cheap but the quality is not the same as the oil gets filled with the chemicals. Now, comes the actual situation. 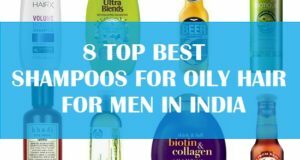 Which oil is better. To produce Jamaican black castor oil (JBCO), the seeds are roasted first. Roasting process gives the seed a dark color and pungent burnt smell. It will produce the oil which is dark and high in the smell. Then the oil is pressed with the hydraulic lifts etc that produces high quality oil with no chemicals. Jamaican black castor oil is best for hair growth. It is procured from the castor seeds from Africa. This type of castor oil results in the hydrogenated castor oil or castor wax. This hard oil does not dissolve in water rather it is most used in the cosmetics. This is also used in candles, crayons etc. This type of oil is not what we need for the hair and skin. Do keep that in mind guys. Chemically extracted castor oil is a lot cheaper but as you can know, this contains a lot of solvents and chemicals like hexane, heptanes etc. The oil is low quality and not at all for the skin and hair use. Cold pressed castor oil is the best. Even if you are not able to get hold of the Jamaican castor oil, you can look for any castor oil which is cold pressed. It is clearly mentioned on the labels and packaging. I will also give you few suggestions of the organic castor oils available in the market. Also go for unrefined oils. For hair the right castor oil is the organic and cold pressed oil. Also the oil should be hexane free and should be free of the additives and fillers. While purchasing pure castor oil, always look for these things. Refine oils are filtered using some chemicals, heat etc this is why they are not recommend for the hair and face. Does castor oil grow hair? This section talks about how you can apply castor oil for getting new hair and increasing the thickness and length. First, I will talk about how to apply castor oil on the hair. Comb the hair thoroughly that there are no tangles. Take some castor oil in a bowl and warm it up a bit. The luke warm oil is what we need for this process. Section the hair and apply the oil taking on your palms. The oil is quite thick so make sure you rub really well. You need to continue doing that till the entire scalp is coated with the oil. Give a mini massage with your finger tips to the entire scalp. Leave castor oil for overnight. In the morning, wash the hair with mild shampoo or cleanser. This castor oil method can be done at least 3 times in a week. It is pretty simple! You see. It’ll aid in boosting the hair density and prevents baldness. Castor oil is quite thick and has ample amount of fatty acids in it. This is the reason why most of the oils takes longer to get rid from the hair. But don’t worry as compared with the other oils that we put in the hair, castor oil is definitely a lot easier to remove. Just follow these instructions and you would be able to get rid if the oil quickly. Take some water in the bucket. Use a mild or herbal shampoo and make rich lathers of it. Apply the shampoo over the scalp first and massage the scalp. Rub the shampoo foam all over the hair and massage. This step will remove all the oil traces from the scalp as well as the hair. After this, use cold water to give a last rinse as warm water can make hair porous and rough. 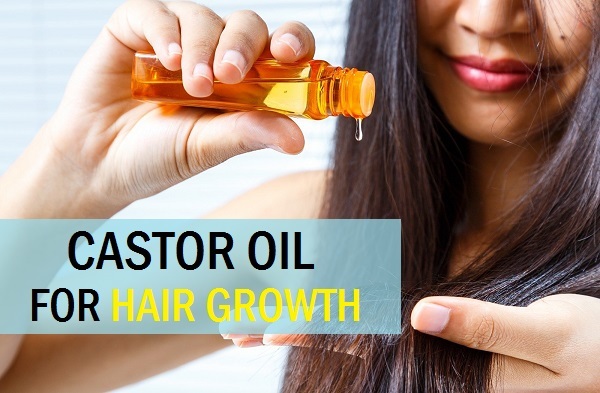 How long does castor oil take to grow hair? Any herbal treatment that we do takes time. 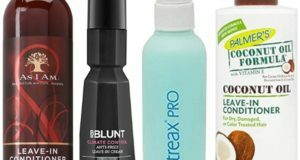 It is true that it will help you gain new hair and increases the length as well. But it needs time. You have to do these mentioned tips for at least 2-3 months to see some positive results. Don’t lose hope as it’ll do good for your hair. Take 2 teaspoonfuls each of the oil and 2-3 drops if the tea tree oil. Leave this treatment on the head for 1 hour. It can be done 2-3 times in a week for getting faster results in growing the hair back and stronger. Listed below are a few hair masks using castor oil. 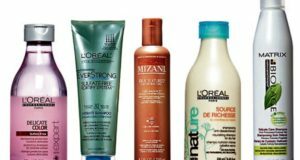 These masks can make your hair long and healthy. Coconut when mixed with castor oil become an excellent combination for hair loss and preventing bald patches. 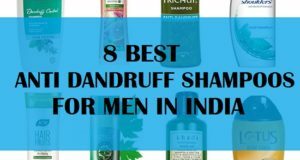 It also helps in the new hair emergence as per the researches on this subject. I have earlier shared the remedies with onion juice for growing the hair faster. When we mix onion juice with castor oil, the benefits just doubles. This actually is the reason that castor oil and onion juice both on hair loss reduction with different mechanism. Grape seed oil is used a lot in hair fall control treatments. This oil is used for skin and hair both. It initiates the hair growth with its strong properties that increases the circulation in the scalp. Mix castor oil and grape seed oil in equal amounts. Apply every night o the scalp for the cure for male hair loss. Females can use this on every alternate days. Olives are just wonderful source of rich anti-oxidants that helps in the new hair eruption from roots. It nourishes these scalp and gets rid of the dryness. In fact, since ages, olive oil has been used to make hair lustrous and longer. Olive oil is specifically known to increase the growth of hair. Men can do it thrice in a week, if they wash their hair everyday. I understand, shedding hair in clumps can be stressful for you. I also had that post the delivery. But this treatment has helped me overcome the hair loss and getting rid of the few bald spots on the centre. For this you don’t even have to shell out a lot of money. You must have heard about peppermint oil. The oil is used to give cooling to the dry itchy scalp. Moreover it also cures the hair loss. This oil stimulates the blood circulation and aids in hair re-growth. According to the tests and research on groups of people, this also aids in shinier and thicker hair. This remedy is perfect for summers. This concoction for hair can be applied 2 times in a week. Argan oil is known to promote the hair growth. It increases the hair shine and density. It is also rich in vitamins that makes hair follicle stronger. High fatty acids in both of this oil cures the sun damage. Rosemary oil is known for its hair growth boosting properties. You may have seen shampoos and oils containing this herb. Yes, exactly, this is the reason. Vitamin E oil is rich in anti-oxidants and fatty acids that replenishes the moisture in the scalp and hair. This oil not only make you grow hair quickly but also make them smoother. This oil is available in capsule form which is very easy to buy from local shops. Put 3-4 vitamin E oil capsules in it. Mustard oil is highly popular cooking oil which is also used for hair acre. The oil is rich in so many good fats that it is also suitable for hair growth. Tea tree oil is effective against the hair loss due to scalp infection like psoriasis, dandruff etc. It also aids in the unblocking of blocked pores. Application of tea tree oil is beneficial for people with baldness and patches. Jojoba oil is one of the best oils for hair growth and thickening of hair strands. It increases the shine and softness of hair. It is rich in fatty acids and nutrients that seeps and nourishes the scalp. It is also a good deep conditioning hair masks for men and women, who’ve got dry hair. Aloe vera products are suitable or the hair loss. The gel is rich in nutrient that helps in hair fall control. When mixed with castor oil, it gives positive changes in the hair health. Additionally, it clears dandruff and hair loss because of itchy scalp. Apply this on the scalp by gently massage. Just like onions, garlic is also rich in sulphur. It aids in hair growth and strength the weak hair roots. This root helps to minimize the hair fall and problems related to infection. Mash it well so that both get mixed well. Ginger is one of the best thing to use for the natural hair growth. Ginger has effective role in the initiation of new hair. It makes your hair grow fastly and give dandruff free hair. Application of ginger juice aids in the healthy hair. Read more about Ginger for hair growth for men and women. Lemon juice is a rich source for vitamin C, that is also known as ascorbic acid. It has natural antioxidants that fights the free radicals. It is also a good DHT blocker which aids in hair loss control in men. Lemon juice also gets rid of the dandruff and itching. Bonus is that you’ll get shinier hair. This hair masks is wonderful for the hair growth. Egg yolk is filled with proteins and fats. It accelerates your hair growth and controls hair thinning. As an added benefits, this remedy with egg aids in shinier and thicker hair. Separate the egg yolk or you can keep the white too. This is one for the best hair mask for hair growth using yoghurt. This quick to get kitchen ingredient helps in the hair fall and dandruff. Take a bowl and add 3 tablespoon yoghurt. Mix well and apply on the hair. Honey is a natural moisture attracting product. It heals the dry split ends and aids in proper growth of hair. Also honey is pretty safe for all the hair types. Take 3 tablespoon of castor oil. The oil is pretty safe to use for the hair. If you are using a cold pressed oil which is not filled with chemicals and fillers then the oil is safe. It does not have any side effects. Yet, I will advise you to apply any of the remedies stated above behind the ear for 10 minutes to check, if you’re allergic to it. If not then you can go ahead and try it. People which are allergic to this oil can experience redness, swelling and skin itching. You should immediately see a doctor then. Castor oils are available online and in stores. 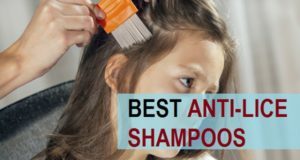 If you are facing difficulties getting this in stores near you, then these are the best castor oil brands avialable in India with their prices. I have also kinked the buying links. 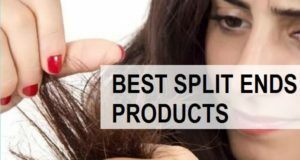 Listed below are the top five castor oil brands that you can easily find in the market and local chemist shops. Soulflower is one of the best brand to get your essential oils from. This oil is made from 100 percent pure castor seeds. It can be used for hair growth stimulation, preventing split ends, dandruff and dry scalp and getting stronger roots. It’s also a pure Cold Pressed Castor Oil with no added additives and n o mineral oil involved. Aloe veda castor oil is chemical free and is cold pressed, ensuring its purity. It can be used for skin and hair. This product is Manufactured in United States and is a pure Jamaican Black castor oil which is considered as the best for hair growth. Lastly, for people who asked how long these castor oil treatment work? It can vary from person to person and the type of baldness and hair loss you have. But generally it takes 2-3 months to show good results. Also do take a balanced diet that includes the vital vitamins that boost the hair growth and drink lot for water. You can comment below, if you still have any queries in your mind. This is how you can use castor oil for hair growth and making the hair thick and stronger. Have you used castor oil for your hair ever? 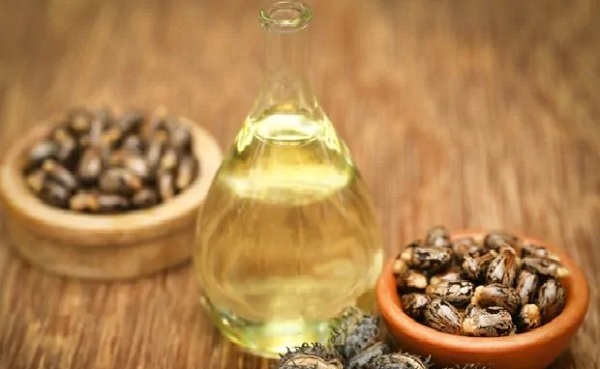 Which is the remedy that you love the most with castor oil for hair.